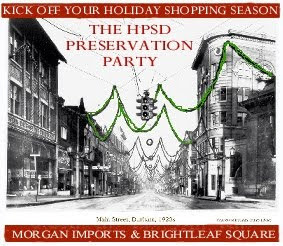 Preservation Durham's Annual Preservation Party - Morgan Imports will be hosting this year's party, graciously donating 10% of their sales proceeds. Delicious food to be provided by Peabody Place restaurants, with music by jazz guitarist Bob Tapp. Durham historian Tom Miller will be hosting the popular Durham History Quiz, awarding fabulous prizes for correct answers. A silent auction will showcase items from various sponsors. 6pm/FREE. Steve Miller Band @ The DPAC - With songs such as "Take the Money and Run," "Rockin’ Me," “Jet Airliner,” "The Joker," “Fly Like An Eagle,” "Livin’ in the USA" and "Abracadabra" to his credit, blues/rock singer-songwriter-guitarist Steve Miller is one of the cornerstones of classic rock. 7pm/$48. Transactors Improv Presents: City of Medicine @ Common Ground - The latest episode of their "completely improvised serial medical drama." 8pm/$10. 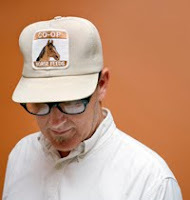 Lambchop + Alejandro Escovedo @ Reynolds Industries Theater - Escovedo started life as a punk rock axe-handler and has incorporated his earlier selves into a strange new art — “thoughtful” and “meticulous” guitar poetry (New York Times) that snarls. Lambchop creates rock’s most willfully singular music, an atmosphere of slide guitar, Stax soul, and broken-down lyrics evoking the town they still call home: Nashville. 8pm/$22. Caleb Calypso and the Midnight Marauders @ Manbites Dog Theatre - As the Cold War sputters to an end, a young American soldier struggles to plan his future in a world that's about to change forever. World premiere of a new play by North Carolina playwright Howard Craft. $17/8:15pm. Also at 8:15pm on Saturday. BBQ - Big Blues Quartet @ Papa Mojo's - Moving from jump tunes to low-down blues to jazz selections, these musicians have a reputation for driving an audience into high -gear! 9:30pm/$8. Live Music @ Duke Coffeehouse - Golden Ghost, Jookabox, Hope for a Golden Summer. 9:30pm/$5. Jeff and King present Pillow Fight! @ Club 9 - Pajama Jam/Slumber Party/Pillow Fight! 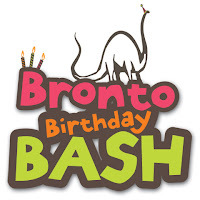 Hosted By: Chocolate Thunder (Disco), Kid Dyn-O-Mite (Electro Funk), Marshall Jones (House) and Slipstream (Jungle). 10pm/21+, $6 w/pajamas, $8 w/o. Live Music @ Broad Street Cafe - Sean Johnson at 8pm, L Shaped Lot at 10pm. Ricky and Joe Dance Party @ The Pinhook - Hip-hop theme with DJ's Yammy and DJ Ryah. 10pm. Sunshine Garden Group Workshops: Planting 101 @ Holton Career and Resource Center - Sunshine Garden Group is a program for new and experienced gardeners to learn and share about flower and vegetable gardens, edible landscaping, urban gardening, container gardening, and healthy food. 10:30am. Garden Guild Holiday Craft Sale @ Duke Gardens - Get into the holiday spirit with ornaments, knitted caps, painted plates & pots, jewelry, fabric microwave bags, wreaths, baked goods, live bulbs and more. All proceeds support Duke Gardens. 1-4pm Sat+Sun/FREE. NCSquares November Square Dance - Check out our feature. 7:30pm/$8. Bellan Contemporary Dance Theatre @ Carolina Theatre - Enjoy a powerful, provocative and soulful celebration of life without boundaries. Founder and artistic director Anjanée N. Bell’s choreography blurs the line between fine art and sheer entertainment, fusing dance, music and poetry. The choreography integrates classical and modern movement with athleticism, emotion, and explosive energy that engage your mind, body and spirit. 8pm/$27. Live Music @ Broad Street Cafe - Jo Gore and The Alternative at 8pm, The Crossover Blues Band at 10pm. David Dyer & the Crooked Smile Band @ Papa Mojo's - They deliver their own brand of high-energy Americana, fusing Byrd-like vocal harmonies with the honky-tonk twang-rock of Hank Sr., and Prine-like storytelling that is always honest. 9:30pm/$8. Live Music @ Duke Coffeehouse - Explorers Club, The Huguenots, Tripp. 9:30pm/$5. Princess and the Criminals CD Release @ The Pinhook - Special Guest Performances by Cherry Bomb and Miss Mary Wann. Featuring Bobby's Fever at 10pm, Blood Red River at 11pm, Princess and the Criminals at midnight. OnlyBurger will be offering burgers for sale. The Legacy of Durham’s Black Wall Street and NCCU @ Hayti Heritage Center - The keynote address will be presented by Dr. Walter Weare, associate professor emeritus of history, University of Wisconsin-Milwaukee. Based on his research, Weare will present his perspectives on how John Merrick, Dr. Aaron Moore and C.C. Spaulding supported Dr. James E. Shepard’s efforts in founding NCCU. He will also discuss the relationship between C.C. Spaulding and Dr. Shepard during the political era of the1930s in seeking financial support for NCCU and other black educational initiatives. 3pm/FREE. Louise Kessel (storyteller) @ Broad Street Cafe - Louise tells stories for adults and children in solo performances and in collaboration with musicians, mimes and other storytellers. Her stories are drawn from traditional and contemporary sources. 4:30pm/FREE.